Welcome to this week's challenge! 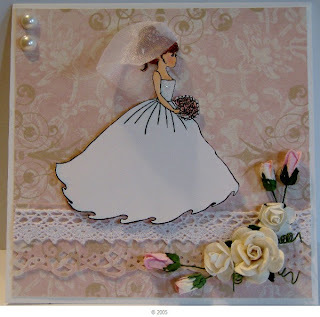 Thank you for all the fabulous creations shared in our Wedding challenge... they were beautiful to see! Swing on by ladies, collect your Winner or Top 3 badge from our left sidebar... congratulations, everyone!! 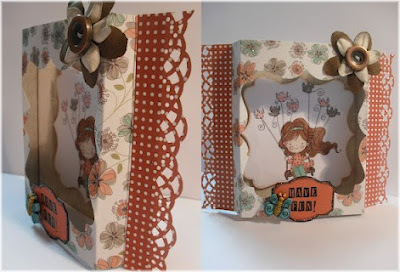 But we're talking construction in the creation of your card... we would love to see your creations that are more than a single-fold or gate-fold card.... what's your favourite? Easel Cards, Step Cards, Spinners, Sliders, Shaped cards, Waterfalls.... my goodness there are so many construction projects to create! We are excited to welcome back our sponsor, Milk Coffee! 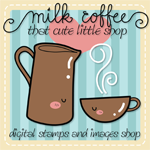 Our randomly drawn challenge winner will receive their choice of 3 Milk Coffee images... fabulous! But wait.... there's more! Our sponsor will also provide one image each to our chosen Top 3! How generous! And from the Milk Coffee Design Team, we have Yoshira joining us with this beautiful creation! 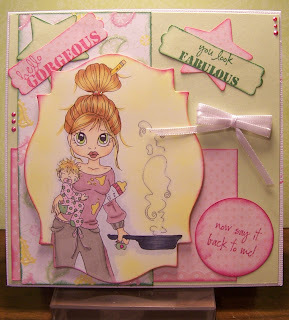 We would love to see your CONSTRUCTION CARDS creations this week! Linky Tool is incorrect again! The Linky Tool has done it again! Although it says it will end at 12pm noon Australian time, as it should, the linky tool is actually 2 hours EARLY. Leaving a comment on the challenge post, with a direct link to your challenge entry. Sorry for the kerfuffle, folks! Welcome to this week's challenge. 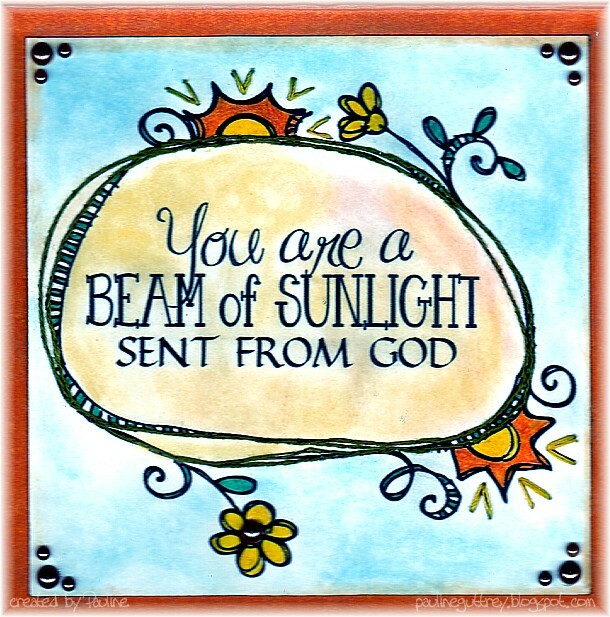 Thank you for sharing in our last challenge! There were so many fabulous Sentiment creations to visit... and I have been lovingly instructed to post how hard it was to select aTop 3 group this week! It was certainly a mammoth task! I must apologise to Sandra, our winner from #26 ... I displayed the wrong creation! 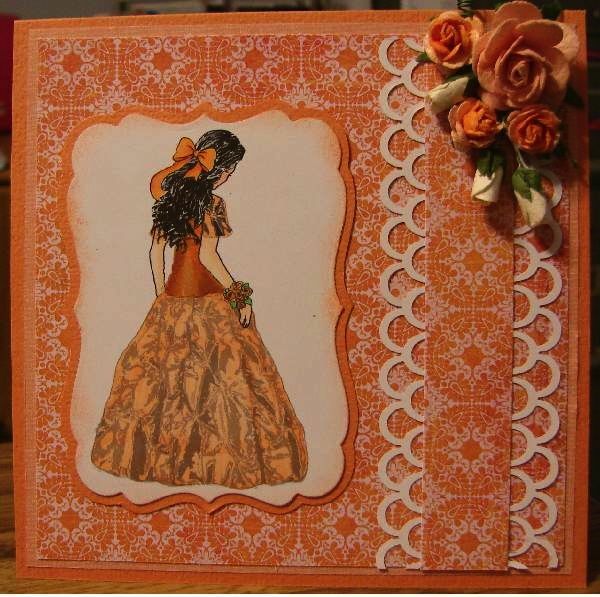 The card I showed as the winner, was in fact created by the winner, just not the card entered in our challenge.... I have fixed it, and the prize winning creation is now on display in the last challenge post. Thank you for being so understanding! 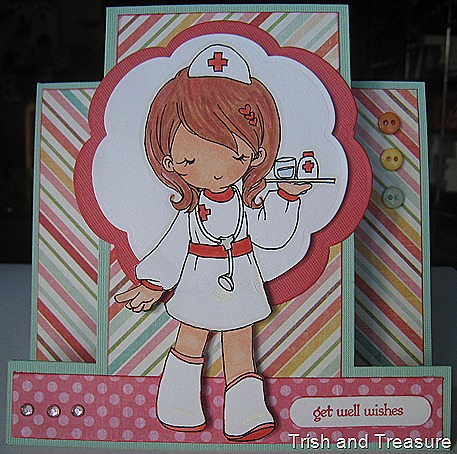 Swing on by ladies, collect your Winner or Top 3 badge from our left sidebar... congratulations, everyone! We challenge you to create a card that celebrates such a joyous occasion. We are excited to welcome back our sponsor Whoopsie Daisy! 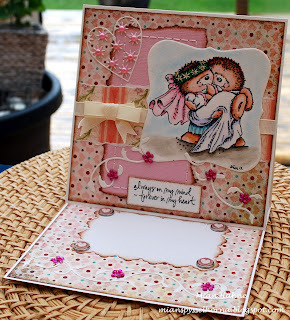 Linnie creates delightful sheets of hand-drawn images, with each sheet containing 4 images! And there are so many to choose from! 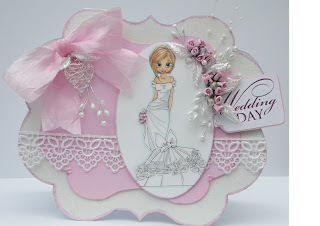 Do visit her blog to see all her fabulous designs. Our randomly drawn challenge winner will receive their choice of two sheets of digital images. Our design team has created some beautiful card inpirations to share with you this week... we hope you enjoy them! 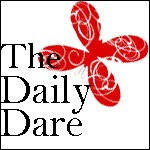 To visit our DT blogs, just click on their names! 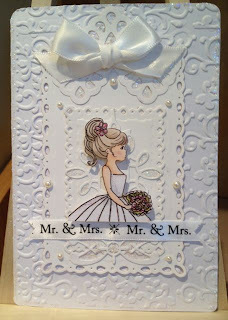 I hope you'll join us in our Wedding challenge this week... we look forward to seeing your creations! If you still want to enter, and please pay attention to the clocks on the left.... the challenge closes at 12 NOON AUSTRALIAN TIME ..... enter by leaving a comment on the challenge post with a link to your entry post, and your entries posted before closing time will be counted. Welcome to this week's challenge! Such awesome creations were shared in our last challenge... thank you all for playing! Swing on by ladies, and collect your Top 3 badge from our left sidebar... congratulations, everyone!! 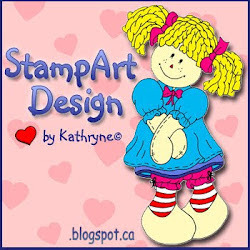 We are excited to have our sponsor returning to us, the super... KPM DOODLES! 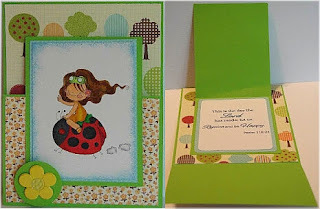 KPM Doodles has sets for so many occasions and events, and they are fun and funky. 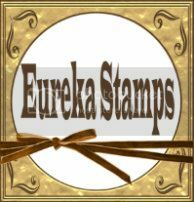 Sets are available at fabulous prices, in black and white digistamps, or pre-coloured clip art sets.... some are both! Our randomly drawn challenge winner will receive their choice of TWO SETS of images from the KPM DOODLES collection... what an awesome prize! 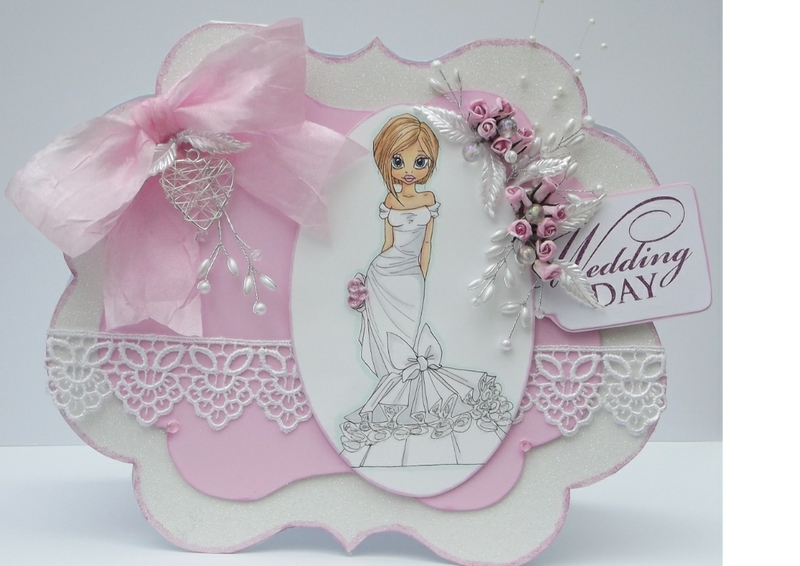 Take a look at the fabulous DT creations we have to showcase... we hope you find inspiration in them!! I do hope that you'll join in our SENTIMENTS challenge this week ... we've also just changed our linky service, so I hope the transition is smooth and hassle free... please bear with us if we experience any hiccups! You will need one 5-petal flower punch. I'm showing various ones that I own. You will notice that several have just rounded petals and several have a "scalloped" looking petal. Either style will work. The larger the punch, the larger the flower. I've used all of the above at various times to make my roses. 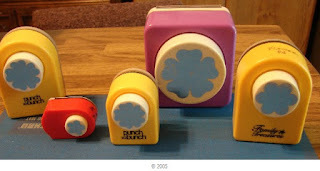 You can even cut the pieces from your Cricut as many of the cartridges have a 5-petal flower. 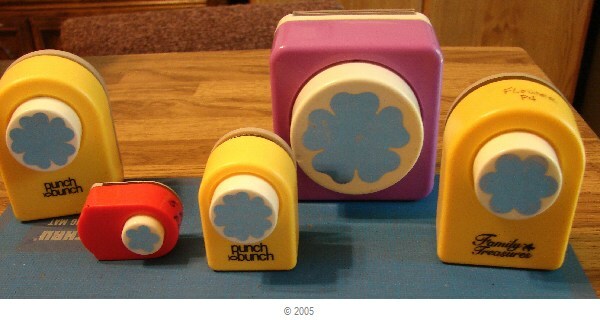 You only need to punch three flowers. 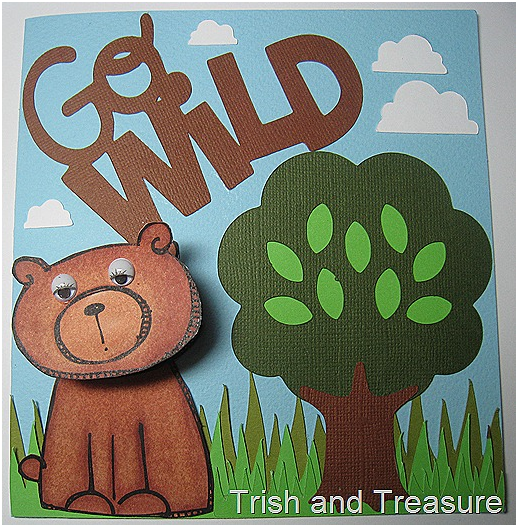 These can be punched from paper or cardstock. It is your choice. 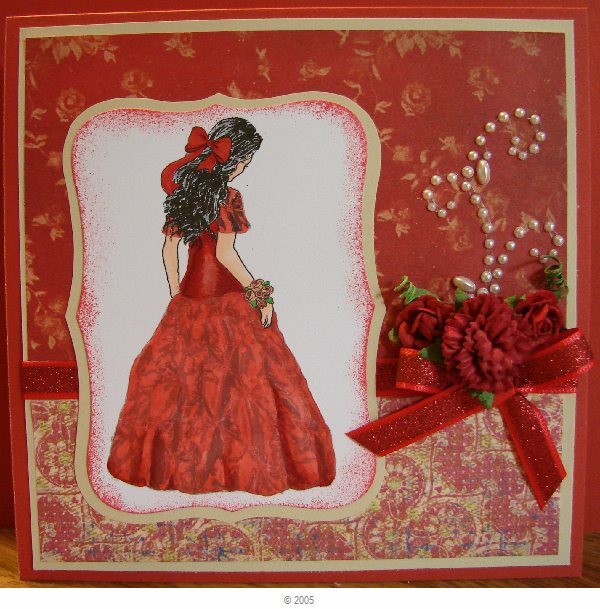 I tend to use cardstock in solid colours to match the card/project I am making. I also ink the edges a lot to give more colour and texture, but this is not necessay. 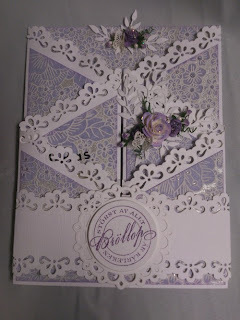 As you see, I am using the scalloped punch this time for my sample. 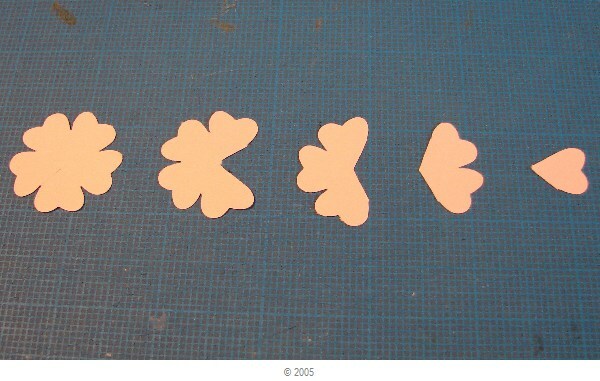 After you have punched the three flowers, you will need to cut them as follows: Cut a slit in your first piece between two of the petals. 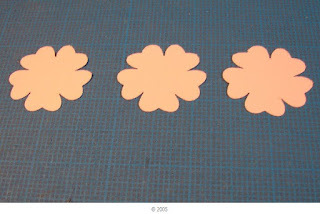 Cut the slit only to the middle of the flower (does not show well in the photos, but the first flower on the left). 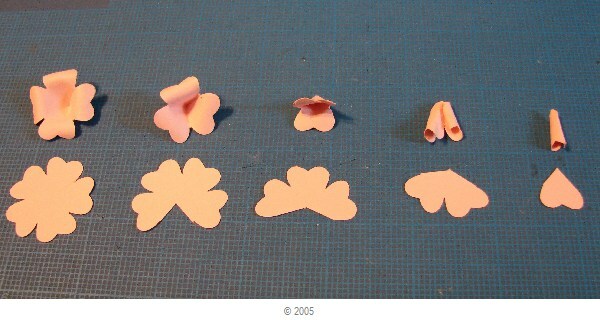 Cut one petal out of the second piece (do not discard any of your cut pieces as you will be using them). 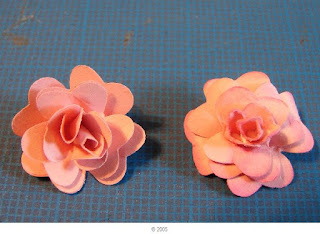 Cut two petals out of your third piece. You should have something similar to the piecs shown in the photo above. This is where you will ink the edges of your pieces of that is your choice. Now, using a quick drying glue (I use Scott's quick dry), create your layers in this manner: glue the two petals beside the slit to each other. You will be adhering the bottom of the right petal to the top of the left petal so that you've form a 4 petal cone shape. For the second piece, adhere in the same manner so that you have a 3 petal cone shape. The third piece is also done the same way so that you have a 2 piece cone. The fourth piece (the two petals cut out of your third piece) are then rolled so that one side rolls toward the front and the other side rolls toward the back. Your last piece (the single petal cut from your second piece) is rolled into a small cone. 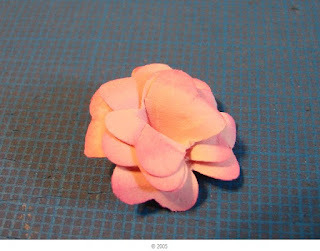 At this point, if you want, you can turn your curl your first three pieces so the petal roll toward the back. This is done by lightly spritzing the underside with water and gently rolling over a pencil, stylis, skewer or whatever you might use for rolling your pieces. It is now time to assemble your rose. Put a dab of glue in the bottom middle of your first piece (the 4 petal piece). 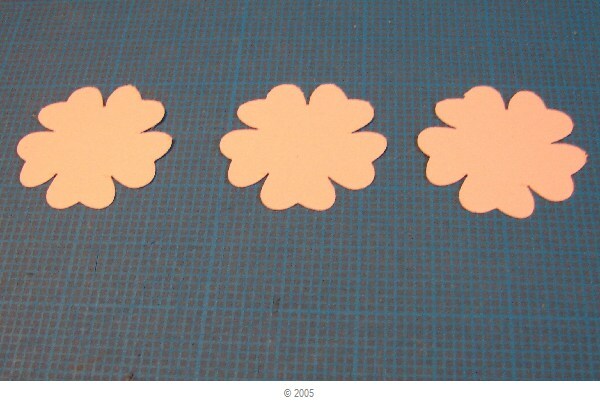 Place your 3-petal piece on top so that the petals of the two pieces are off-set from each other. I usually place my rose on my cushion pad while assembling and take my stylis to gently push down in the middle to make sure the two pieces adhere to each other Do the same for the third piece (2-petal cone). Taking your last two pieces, place a dab of glue in the middle of your rose and then place the piece that is rolled to the front and the back inside the top cone. With your tweezers, gently maneuver the piece so that folds create the middle of the rose. Lastly, add a dab of glue to the middle of the last piece and place the tightly wound piece in the center. I have found that I often have to trim a bit off the bottom of the last little piece or it will stick up above the top of my flower. You may have to play with the last piece until it is to your liking. 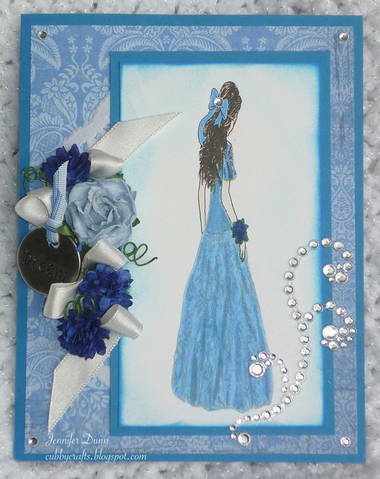 These roses really do not take a lot of time and become even quicker as you get more used to the procedure. Here are four different roses that I made for this tutorial. The two pink ones were made using the scalloped punch and the two yellow ones were made using the rounded petals. I inked one of the pink roses (on the right) and turned down the petals. The other pink rose was not inked nor were the petals turned. I tend to like my petals better not turned. 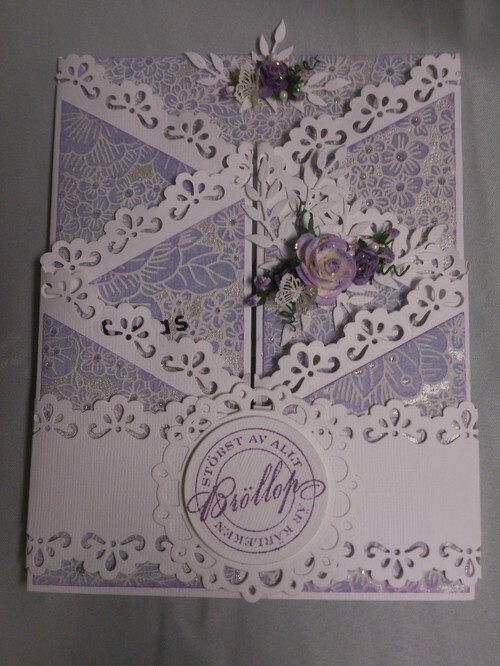 They seem to lie better on my card and with the punched leaves that I make. The non-rolled ones just remind me a bit more of the commercial roses that I buy. It is definitely up to you and what you like best. I hope my instructions have been clear and that you will give this a try. 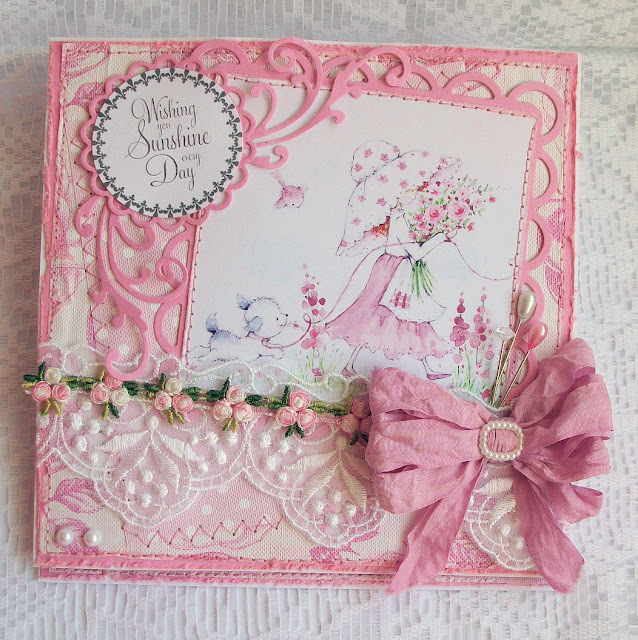 These roses are wonderful additions when I don't have the right colour in my commercial stash for the project I' working with. 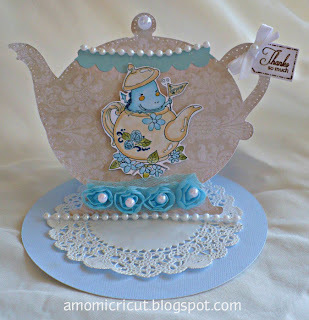 I've used the small punch and the jumbo one (the technique is the same), and all results are quite pretty. Be aware that probably no two of your roses will look the same. This is OK as no two roses, even from the same bush, are going to be the same. Just have fun. 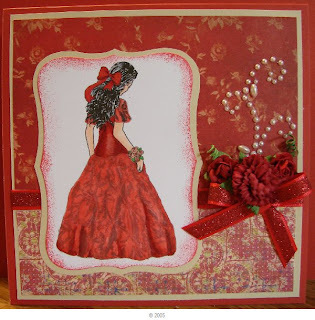 Challenge #26 - One Colour, you say? Welcome to another challenge at Card Crafter's Circle. I can't believe that we're up to Challenge #26! Where have the weeks gone? And we congratulate our Top 3! Well done ladies! 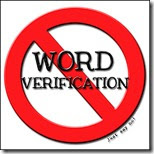 Ladies, please collect your winner or Top 3 badges for your blogs.... and MARIA please email me (Pauline) at the yahoo address on the right, to confirm your win, so we can get your prize off to you! 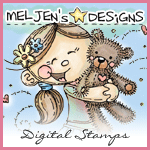 Our thanks to Meljens Designs for sponsoring us again! 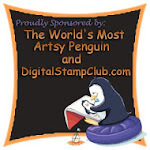 Our sponsor this week, is Stamp-N-Doodle! 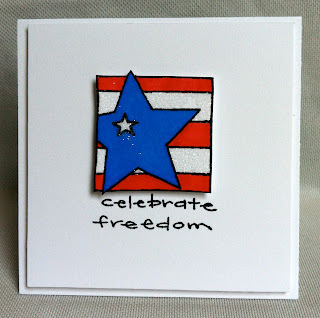 Stamp-N-Doodle have unique diversity, offering rubber stamps, digital stamps, printable and scrapbooking supplies. 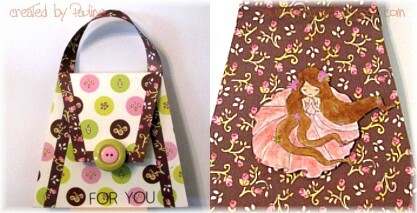 They also offer crafting instructions! Our winner this week will receive a prize of two images of their choice. 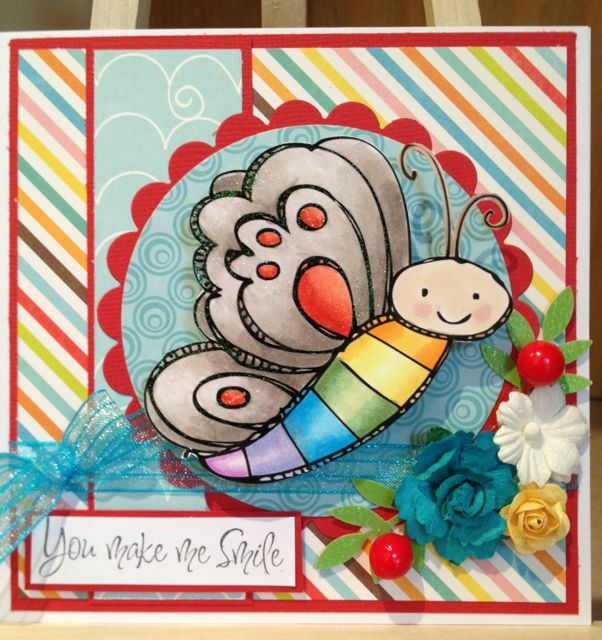 Our Design Team has given a rainbow of inspiration for your this week!